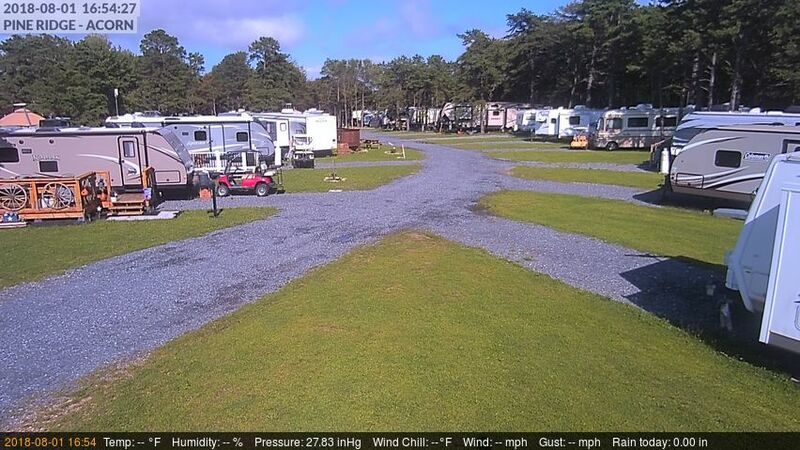 Pine Ridge Campground has recently expanded in March of 2018 with 26 more additional seasonal wooded RV sites. Come join our campground in 2019 on one of our newest seasonal sites, with the latest of amenities and features. Check out our interactive map below, select highlighted locations to see additional information and photos of the area. You can read more about our rules, policies & cancellations information too. Minimum one night for daily rentals is required, except cabin rentals. Weekend rentals (if a Friday or Saturday is booked) required a 2-night minimum. Holiday weekends to include Memorial Day, July 4th week, Labor Day requires a 3-night minimum. November 1st through March 15th are limited facilities. If notice is received 14 days (30 days for rental units) before arrival: Customer will receive a 1-time use credit, No Refund. Less than 14 days (30 days for rental units) notice, No Refund / No Credit. Less than 29 days notice, No Refund / No Credit. Campsites: $2.00 per hour; Cabin/RV Rentals: $5.00 per hour; – 3 hours = 1/2 day rate. After Hours Check-In: Please call the office before 7 pm Friday or Saturday, 5 pm on Sunday – Thursday if you need to check in after hours. *NO Check-in after 9:00 PM!! Pets in Rental Units: Pets are only allowed in the Primitive Cabins for $25.00 cleaning fee. *** 3rd Party Booking Sites may have different cancellation & refund policies.